Universal Maxi, available in the U or L shaped versions, provides unlimited solutions for taking you higher: you can adjust both the rise and the tread going thanks to the special support module and you can choose from a landing tead either below the floor or flush with the floor. 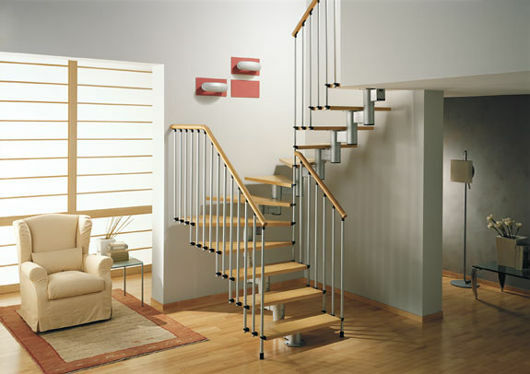 The basic kit includes 12 steps complete with inside step railing. If you want to reach higher floor to floor heights than the standard kit you will require one or more of these. Required if you need extra spindles to protect an open edge on the staircase, for example if it is to be assembled away from the wall. 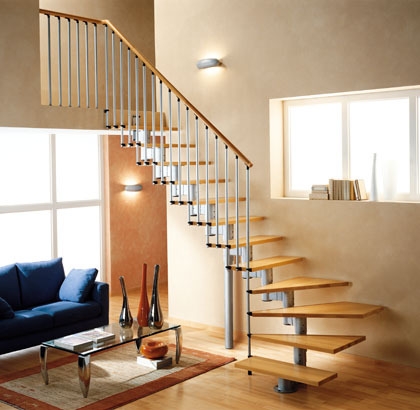 Spindles and handrail kit for going around the staircase well opening.